Tahoe Fracture & Orthopedic Medical Clinic is pleased to offer musculoskeletal urgent care treatment to patients in the Gardnerville, Nevada, area through our new immediate care clinic, Tahoe Fracture Quick Care. Our team of experts will do whatever they can to provide you with the prompt relief you need and deserve. If you’re in need of medical treatment and you’re unable to visit a primary care doctor, you might be wondering whether you should visit an urgent care clinic or head to the emergency room. If you’re concerned that you might be experiencing a heart attack, stroke, or any other life- or limb-threatening condition, you should call an ambulance or find transportation to the emergency room as soon as possible. People often choose urgent care clinics over emergency rooms because doing so saves them time and money. If you visit an emergency room for a cut or a broken bone, you’ll likely end up with a long wait time, since emergency room physicians need to prioritize life-threatening conditions. Plus, you’ll often pay much more for an emergency room visit than you would for urgent care treatment. Tahoe Fracture Quick Care provides musculoskeletal urgent care treatment for acute conditions, but patients can still seek treatment for chronic conditions at our full-service orthopedic clinic, Tahoe Fracture & Orthopedic Medical Clinic. Whether you’re living with a degenerative spine condition, such as bone spurs or a herniated disc, or you’re seeking relief from arthritis pain, our experienced professionals can help you restore your function, mobility, and quality of life. 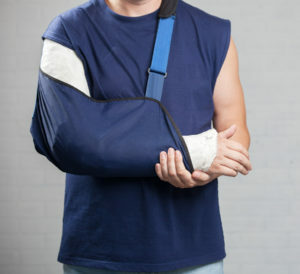 If you need immediate treatment for a non-life-threatening musculoskeletal injury in the Gardnerville, NV, area, visit Tahoe Fracture Quick Care. We offer walk-in urgent care services Monday through Friday from 8:00 a.m. to 5:00 p.m.